The Edi Johnston Bit is not just a player of songs, but puts them alongside some typical English silliness too. Props, Jokes, Quizzes, Audience participation, Bingo etc all add up to a daft experience going beyond just singing some songs. Taking inspiration from Morecambe & Wise, Flight of the Conchords and Tim Vine alongside Old School Hiphop and Pop, The EJ Bit wants to play a bunch of silly tunes alongside a box full of bad jokes & props to ensure a memorable experience rather than just listening. Having played a bunch of gigs with other bands at places like Glastonbury, Shambala & Reading Festivals, Edi had always shared a stage with other really talented musicians. 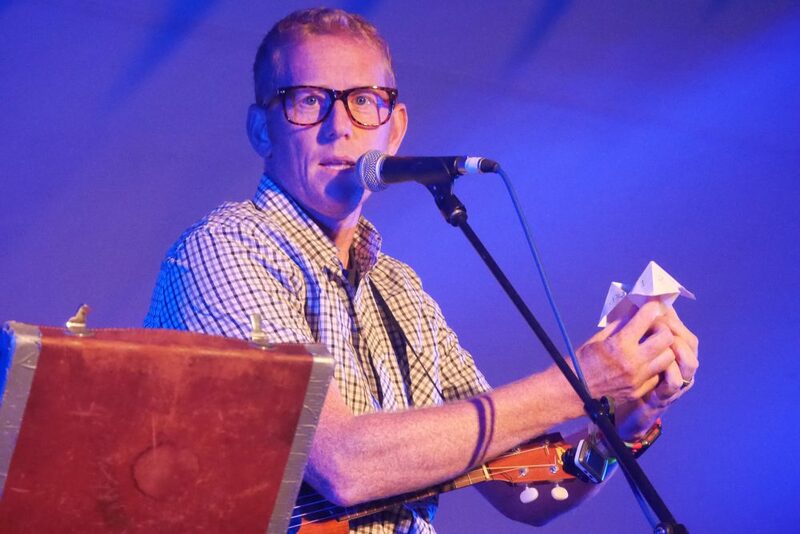 But when they finally finished in 2013, Edi took a year off from performing before being bought a Ukulele by his children for Father’s Day and starting to write & perform again. The Edi Johnston Bit isn’t a comedy performance or a Musical act, but somewhere lodged in between the two. His first live gigs came with a nervous solo trip to a local Open Mic. More followed and bookings started to drift his way which have led him further afield from his Nottingham base. More elements and more songs keep being added to a performance more aligned with Music Hall and Variety shows than often with the gig venues he frequents. This has led to more new songs, gigs in and around the acoustic scene in Nottingham including the acclaimed Acoustic Jukebox nights, Hockley Hustle and Dot to Dot festivals as well as shows at places like Rescue Rooms, Spanky’s, Maze etc. He has supported Mr B the Gentleman Rhymer, Collapsed Lung & Unknown Era as well as in comedy shows alongside Andy Kind, Peter Bazely & in the Nottingham Comedy Festival. The Edi Johnston Bit is a chance to catch up with the daftness of life, put aside the thoughts of normality, and smirk your way through a set of songs and stuff designed solely to make you giggle & grin. “Sometimes, you need a bit of laughter to pull you through. Edi Johnston is just the man to do that for you. 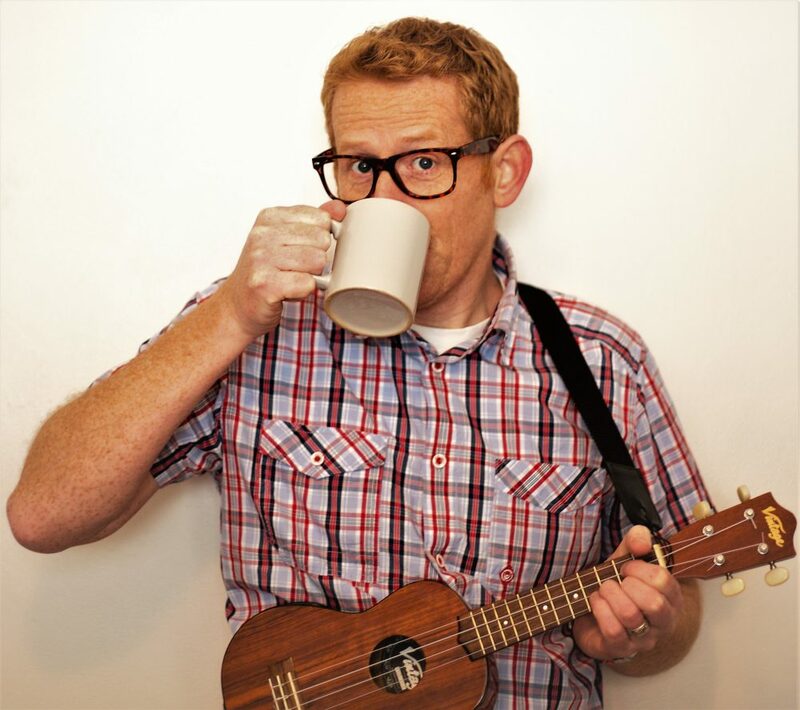 A singer-songwriter armed with his voice, a ukulele and plenty of props, Edi’s tunes are full of gags that’ll have you smiling for days on end.